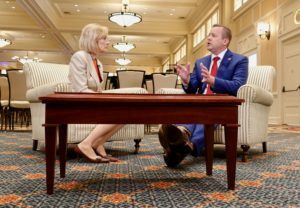 Sen. Tim Kaine, D-Va., and Prince William County Board of Supervisors Chairman Corey Stewart faced off Saturday in Virginia’s first senate debate of the season, hosted by PBS NewsHour managing editor and anchor Judy Woodruff. 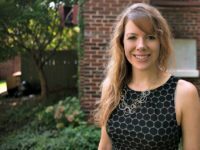 After the debate, at a Virginia Bar Association forum in Hot Springs, Virginia, both candidates sat down with Woodruff to talk about their state’s changing demographics, economic growth, family separation at the border and President Donald Trump’s performance in office, among other topics. Watch their full interviews below.